Psoriasis can cause pain, stiffness, and swelling in your joints. The combination of skin flare-ups and joint pain is known as psoriatic arthritis. If you’re not sure if you have it, talk to your doctor. Psoriatic arthritis usually hits joints like your knees, fingers, toes, and back. When you get flare-ups there, it may be tough to do everyday tasks. 1. Start with a warm shower. Heat boosts blood flow. That can help ease stiff, painful joints. You may feel less sore and more flexible if you shower before starting your day. If you have psoriasis plaques on your skin, don’t take a super long or hot shower. That can make skin flare-ups worse. As you get ready to do your hair and makeup, think about how you’re feeling. For example, if your hips or knees hurt, try sitting down in front of a mirror rather than standing in front of a sink vanity. If you’re rushing, you’re more likely to move in ways that cause more pain. Build in extra time in the morning so you can move at a speed that feels good. 4. But look for shortcuts. If you blow-dry your hair, towel or air-dry it as long as possible so you don’t have to hold the blow dryer as long. In the shower, use a moisturizing body wash so you don’t have apply moisturizer again when you get out of the shower. If you have trouble applying liquid foundation, think about a switch to powder. You can put it on with a wide-handled makeup brush. Get extra-wide lip-gloss tubes and makeup pencils. Hairbrushes with longer handles can make it easier to reach the back of your head. 6. What about an occupational therapist? 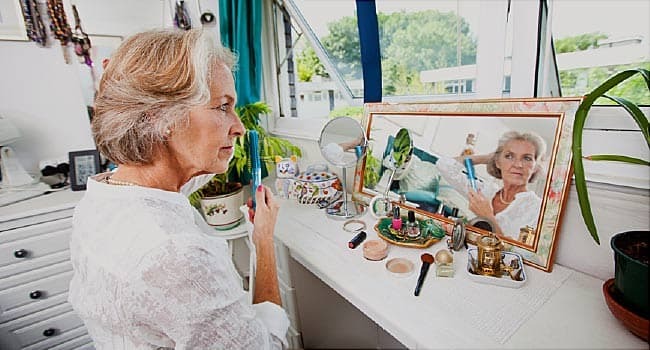 If you have severe joint pain and a limited range of motion, one can come to your house and make suggestions on how to make everyday activities easier, like your beauty routine. It’s often covered by insurance, too.